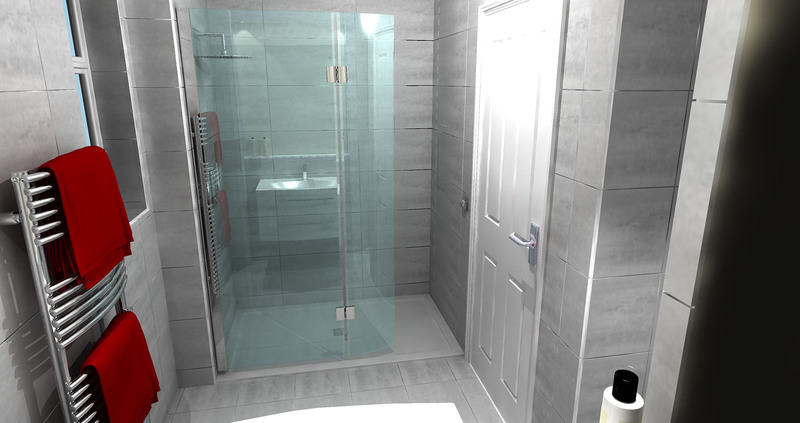 The requirement was to create a walkin shower with no moving parts. 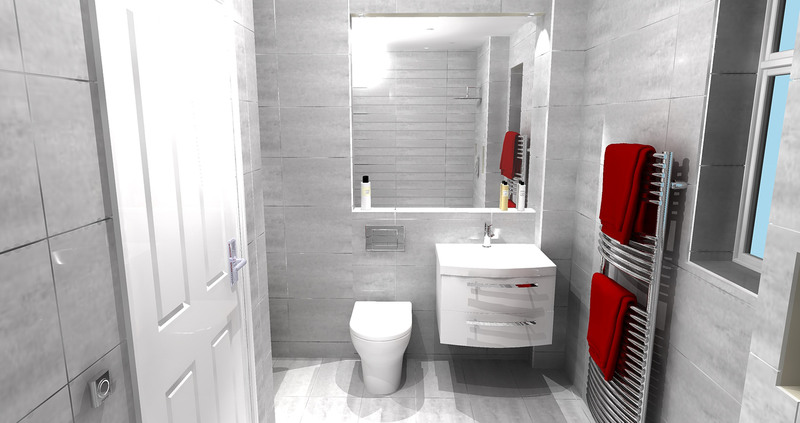 In addition the clients required a wall hung wash basin and combined storage unit, this was complimented by a concealed w/c with modern flush plate as shown. 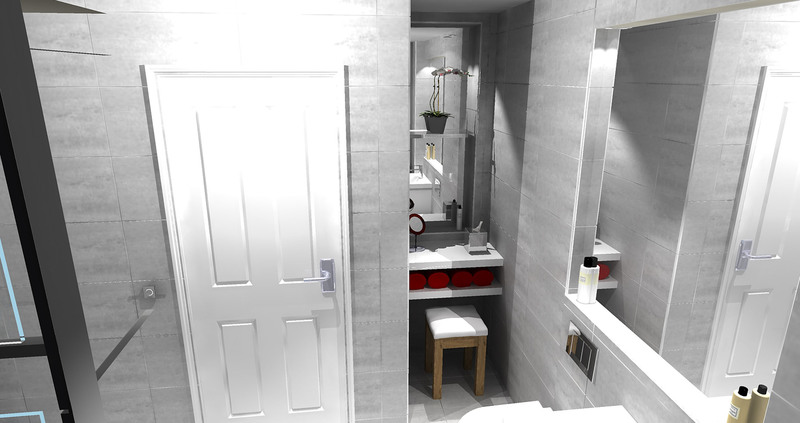 The customer new exactly what they wanted and it was up to the bathroom design team and installers to deliver it, Katherine set to work on the CAD designs, producing all of the requirements from Mrs Christie. 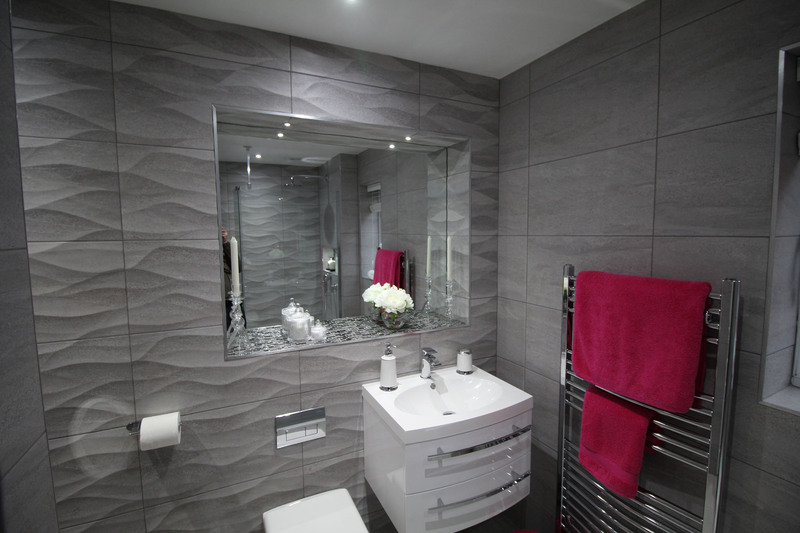 We also added in a make up area, which was expertly crafted, you will also see the unique tiling patterns. 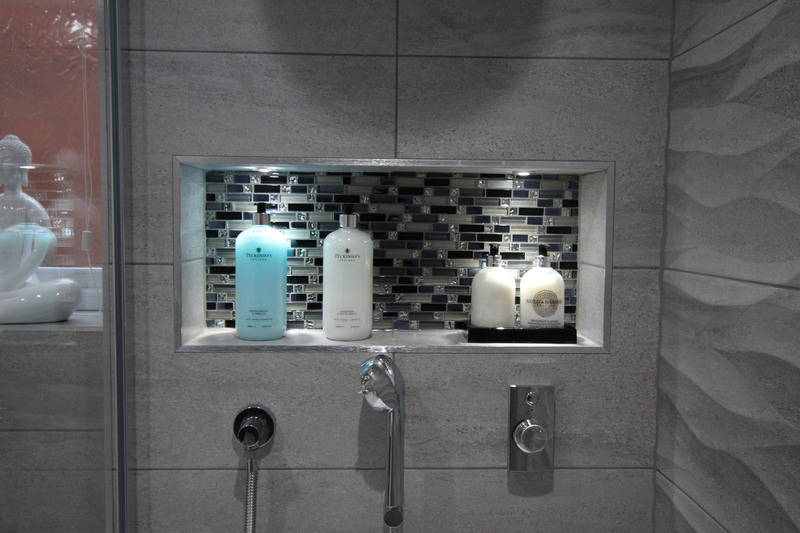 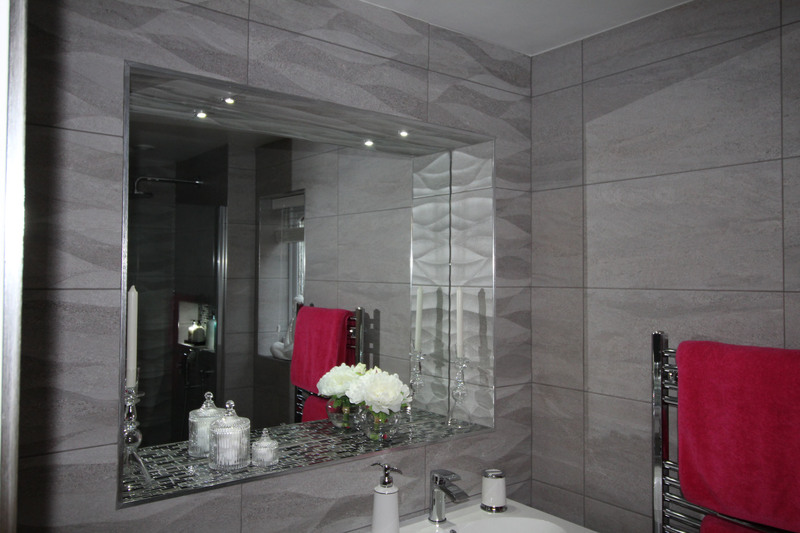 A beautiful recessed mirror with LED lighting was added to suit the ambient environment, the floor was finished with a rectified tile covering to match the same shade as the wall tiling creating a more open spacious feel to the room. 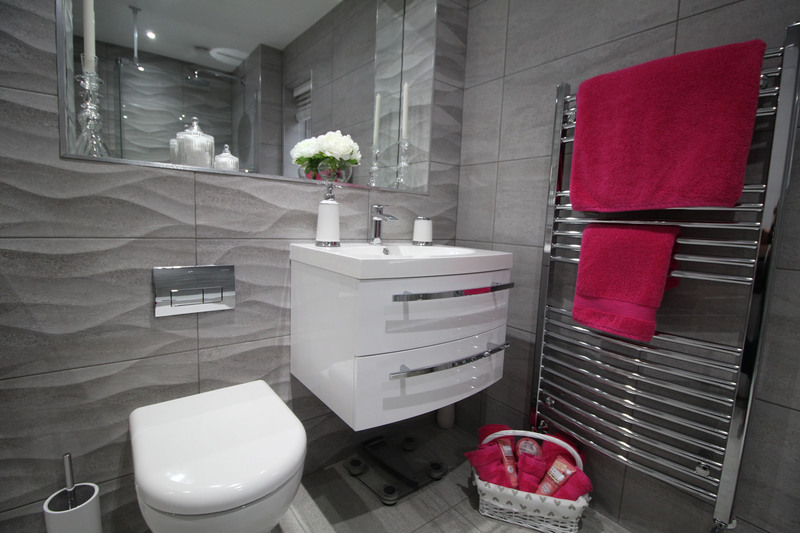 As a team we were happy with the complete project from design to completion, but most of all Mrs Chrsitie was ecstatic.